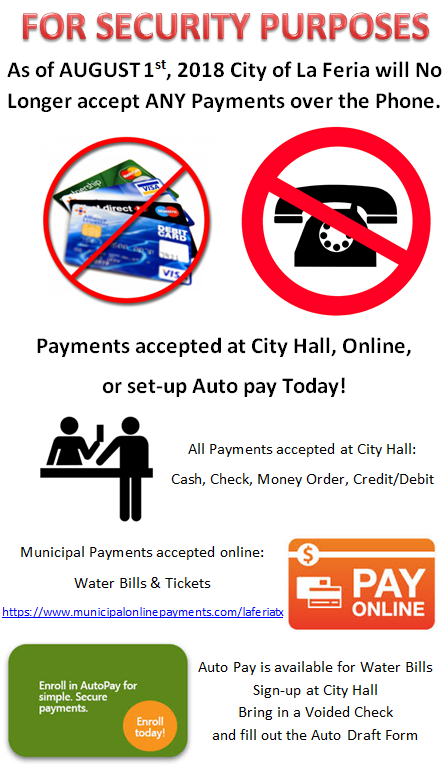 As of August 1st, 2018 the City of La Feria will no longer be accepting any payments over the phone. 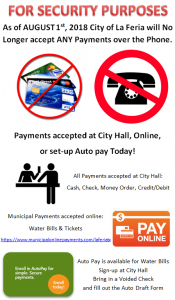 This includes Water Bills, Tickets, Event Vendor & Registration, Youth Programs and Aquatic Center Programs. A dropbox on the front of City Hall is provided for your convenience for after business hours payments. Please note that payments by dropbox must be checks or money orders only.